A couple of weeks ago I had an issue with a photo printing company pulling out of a sponsored post at the last minute. It’s a long story. I won’t go into the details here, but I concluded that I wanted to write a non-sponsored post about other online image printing resources that I already use and recommend to people in real life. So here we go! Well they are half right – Costco is cheap, however, I have not found the quality to be fabulous. Maybe some labs are better than others. It could be regional, perhaps. I used to splurge for Ritz photos but when I saw this post from Zemyal Photography directly comparing image printing results, I decided to give MPix a try. Conclusion: they are great. I have had several batches of photos printed there plus some reprints of old favorites. The contrast between MPix prints and the previous prints (from that “other store”) is startling. I dare you to try them. I print posters for work pretty regularly (lots of event signage). I used to send them to a commercial printer and get them mounted on foam board for nearly $100 each. Now I send them to Walgreens photos online department and get them for $33. The 24”x36” image comes printed on photo paper rolled up in a cardboard tube delivered to my door. The image quality is fine. Perfect? No. They are prone to slight over-saturation on certain colors and large fields of black come slightly streaked, but for $33, you can’t beat it. Pair one of these posters with a $10 frame from Target and you have a great gift. Side note: The photo at the top of this post is an image of my Grandnanna I had printed poster size at Walgreens. I like it not only for my sentimental memories of her, but because it is the first photograph I ever took. You can tell from the perspective angle, I was not very tall at the time. Do you remember your first first photo? Okay, Okay, photo calendars are a thing. I get it. They are cute and Gramps and Aunts like to look at pictures of the little tatertots from the year prior (I am included in that category). What I don’t get is all the cheesy clip art and country goose borders people put on them. I mean, when it’s March, I know it’s March. Do I really need some creepster illustration of a leprechaun planted next to a baby’s face to tell me it’s March? With that in mind, if you are looking for a cleanly designed, excellent quality, leprechaun-free calendar template at a reasonable price, look no further than Pinhole press. They also have a lot of other great stuff like wine labels, return address labels, puzzles and personal stationary. Everything is clean and modern and happy looking. Pinhole is like the J. Crew of online printers. I did a campaign with the UPrinting folks last summer. If you are looking for an online all-around one-stop retail printer, they are great. They have a deal on business card magnets – 100 for $38. If you are in the market for Save The Date magnets or just want your kid’s picture on your fridge TIMES A HUNDRED, this is the place to go. Side note: These are just plain fun: Instagram Magnets | Sticky Gram| starting at $14.99. 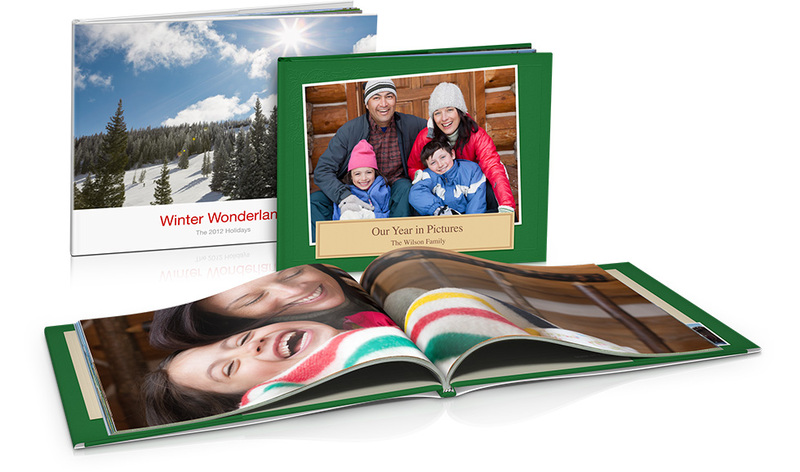 Is this the least expensive place to print holiday cards? No. Do most other cards look amateurish and cheap when displayed on someone’s mantle next to a Tiny Print card? Yes. Tiny Prints have some seriously fun templates and their paper stock is thick and fancified. It’s just different. It’s sort of like Crain’s stationary – it just feels better than everything else. I’m not saying the other options are bad, I’m just saying Tiny Prints are better. 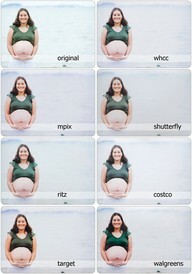 Disclaimer: I have not done this through IPhoto myself but I have seen the results and was impressed. However, I have ordered a couple of photo books from ‘other’ places and the results were lukewarm at best (weird cropping, grainy images, blech. Everything looking like the ISO was cranked up high. So I am not going to recommend them). But, but, but, recently a number of people have been telling me how easy it is to order coffee-table quality photo books through I-photo. I like what I see. They have 20 page business card sized photo books starting at $3.99, and big coffee table books starting in the $20 range. I smell Christmas gifts! Have you tried it? Leave a comment if you can shed more light on this than I can. I am new to Instagram so I have not ordered these yet, but I saw some in somebody’s home and they are the bees knees. This company does all kinds of nifty stuff with Instagram photos, including calendars. So tell me, what are your favorite printing resources on the internet? Does anybody know a good source for hats and mugs? I hear Santa loves a photo mug! My hubby just gave me two fabulous photo books, one for each of my two kids, with well over 300 photos. He designed them on Blurb. Now, although we are not professionals, i consider ourselves to be photo snobs. The quality and look was wonderful! With the pages being 8×11, this was my most favorite gift ever recieved! Highly recommend! Do you have any suggestions for panoramic prints? I have heard good things about Zazzle — haven’t used myself, tho. any experience with printing onto a wrapped canvas? Uprinting is a great source for canvas printing. I ordered rolled canvas but I know they do wrapped canvases as well. I like theirs because you can’t see the little dotted image formations like with some other places. I was a pretty rotten photographer as kid. Still am, actually, but digital has made it possible to snap hundreds of pictures and then cherry pick. Pearl Harbor Day yesterday inspired me to look up pictures of the ship my grandfather served on during WWI; this post is making me consider printing one to display somewhere, or maybe to give my grandmother. My son made me an iPhoto book the first year they were available. He found all the dog pictures we had for our then 3 year old dog. It was one of the last presents he gave me, so it’s special to me. Thanks for sharing your resources, love your photo of Grandnanna. What a fantastic resource – thanks for posting all this! and I DO remember my first picture that I took – was 4, took a really nice picture of my parents at Disney World – would really love to have that…. Great post, thank you. For photo & resume books, I like blurb.com. I also like printing at my local Sam’s club (samsclub.com). They have large format printers, up to 20″x30″ and do a quality job. Just make sure you have them run a test print on your paper selection. Their prices are very reasonable. Thanks for a great blog. 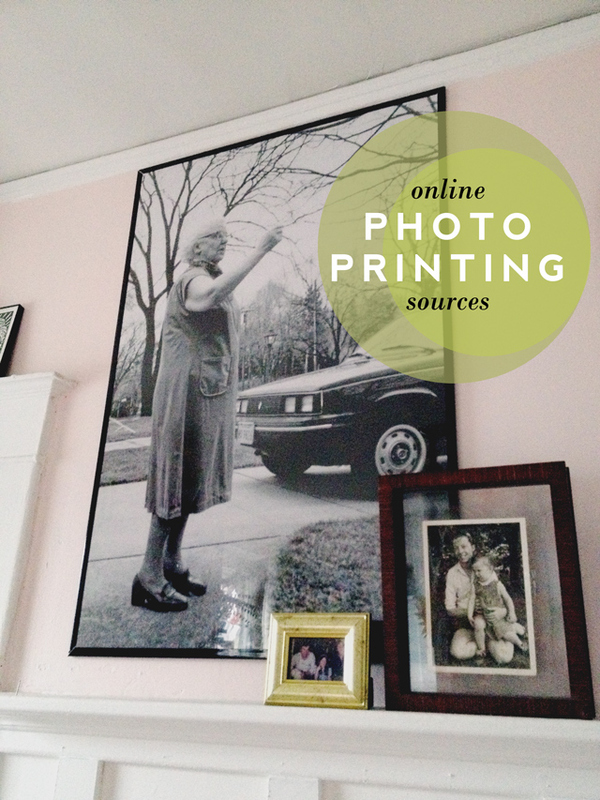 MY very favorite on-line printing source is Nations Photo Lab. Great prices, quality work and super fast turn-around! I love MPIX and use them for all of my clients that I have “time” to order from.. I do love Photosynthesis in Ames, Iowa TOO!! I just got our Christmas Cards in the mail. We used mixbook this year. Could not be happier!! When you order from mpix do you use the “standard” (where they color correct) or the “economy” (with no color correction)?